At first glimpse, "Ebony Sails" (9 p.m. ET Saturday, Starz) and "Vikings" (10 p.m. ET Feb. 27, History) appear to have a lot in accordance. Both shows revolve around marauders taking toward seas, plunder, battle, squint into the distance and drink much more than their share of grog. But unlike the tiresome "Ebony Sails, " "Vikings" does a work of hitting the targets it's set for itself. Its moderate tales are informed in broad strokes, but that is an element, maybe not a bug. This gorgeously shot drama - and it's really probably the most aesthetically striking programs on TV - is straightforward yet not simplistic, and that's an essential distinction. 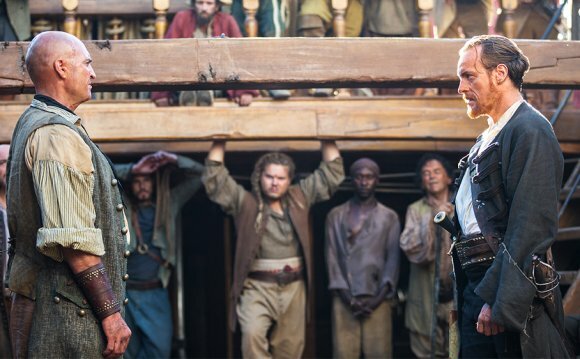 "Black Sails" obviously really wants to inject some complexity into its sand-and-swords premise, although drama operates aground of ambitions it generally does not possess skills to fulfill. That makes the ease of use of "Vikings" look like much more of a virtue, one that enables greater focus and a lot fewer disruptions. The annals tv show shows an interesting desire for exactly how men and women lived one thousand years ago, and that tone of real question - as opposed to the cynical weariness frequently seen somewhere else on television - is mighty refreshing, even when "Vikings" strikes a slow-ish area. Because it sallies forth, depicting love triangles, bloody invasions, punishing sea voyages and energy struggles, it displays value for both its subject material and its market. Just because not every one of its subplots work - i merely can not make myself worry about Ragnar Lothbrok's grumpy cousin, Rollo - it's unpretentious and direct without ever being condescending or vapid. There is one thing endearing in regards to the low-tech life-style "Vikings" depicts; numerous views feature goats wandering around, plus the show' rough-hewn visual - a combination of gorgeous fjords, durable furnishings, homey halls and gorgeous metalwork - in some way tends to make life in a wood hut by the water appear quite attractive. This season, Ragnar (Travis Fimmel) ponders settling down in another of the territories he invades, and that is a promising course the show to just take. (who has gotn't considered giving up pillaging for a quieter life?) Needless to say, The united kingdomt's King Egbert isn't specially keen on the concept of Norsemen moving into his area, and Linus Roache depicts the type's coiled intensity with admirable discipline. Since it did last period, the show thoughtfully explores a few ideas regarding how belief methods distribute and what people do whenever confronted with gods - or a Jesus - which makes small feeling for them. Your way of Athelstan (George Blagden), a monk abducted by the invaders, takes believable twists and turns in Season 2, and although the Vikings consistently devote acts of great assault, those actions are in maintaining their deeply felt values in regards to the gods and also the afterlife. "Vikings, " mostly of the mainstream shows to take religious belief seriously, is a clash-of-cultures tale informed in several modes: we come across savage hand-to-hand combat, different kinds of kings and communities, and conversion rates which can be never truly set in stone.